Many drugs are developed not because there’s a great medical need, but rather because there’s big money to be made from them. In many cases, holistic therapies and medicines already exist that can take the place of any number of synthetic pharmaceuticals. Cannabis is one such therapy, and according to Dr. Gedde, “it’s time to ask questions and look at a new way of thinking about this plant. Dr. Gedde is the owner and founder of Gedde Whole Health, located in Colorado, and the Clinicians’ Institute of Cannabis Medicine. “I actually never imagined that I’d be in this field,” she says. “My medical training was originally in pathology and research, and I spent many years in the research lab. A wealth of research shows marijuana does indeed have outstanding promise as a medicinal plant, largely due to its cannabidiol (CBD) content. Cannabinoids interact with your body by way of naturally occurring cannabinoid receptors embedded in cell membranes throughout your body. About 10 years ago, Dr. Gedde opened her medical practice to focus on non-pharmaceutical alternative therapies. But it wasn’t until 2009 that she discovered medical cannabis. “That was when this whole topic came up in Colorado. I started to look at the possibility of including recommendations for [medical cannabis] in my practice. What I started hearing from my patients really amazed me. I started hearing about all the benefits and the lack of toxicity of cannabis. About two years ago, she received her first request from a parent who wanted to use the high-cannabidiol (CBD), low-tetrahydrocannabinol (THC) form of cannabis for her child’s epileptic seizures. “I went ahead with that and started to learn about what this could do. Now, two years later, the news that cannabis is a therapy for epilepsy has reached the world I think. We’re very committed to gather ongoing information about what’s happening with these children and to get this information out to other physicians in a way that they can use and understand. We want to generate high-quality, publishable data from practice and our experience. We want to help people understand the background and the scientific basis of what cannabis can do, and really start to understand that it’s a medicine, and bring it into what we have as medicine,” she says. The cannabis plant contains cannabidiol (CBD) and tetrahydrocannabinol (THC). Both have medicinal properties, but whereas THC has psychoactive activity that can make you feel “stoned,” CBD does not. The whole plant also contains a variety of terpenes that have medicinal properties as well. Through traditional plant breeding and seed exchanges, growers have started producing cannabis plants for medical use that have higher levels of CBD and lower levels of THC. Dr. Allan Frankel, a board-certified internist in California who treats patients with medical cannabis, works with a number of CBD-rich strains. There’s no doubt that CBD needs to be rescheduled, as each of these three points are blatantly wrong. (1) Physicians would be able to prescribe cannabis. Doctors could actually help their patients to get the exact thing that they need without the sort of situation where patients are required to find their own source. (2) Physicians can do actual clinical research. You can’t do an approved human study with a substance that the federal government says is highly dangerous. It’s not permitted. If it’s rescheduled, doctors can now do actual clinical research, which has been prohibited. Awareness is starting to shift, and many are now starting to recognize the medical value of cannabis. Even the US Surgeon General recently spoke out in favor of medical marijuana. His statement echoes a growing sentiment in the medical and scientific communities that the health benefits of marijuana should no longer be ignored. But there are still many hurdles, and many states still have strict laws against its usage—even in terminal patients. How Does Cannabis Compare to Prescription Drugs? A number of prescription drugs are well known to be dangerous. Pharmaceuticals in general are among the leading causes of death in the US, and some drugs have killed tens of thousands of individuals. The painkiller Vioxx is one classic example that killed over 60,000 before being pulled off the market. According to Dr. Gedde, cannabis is certainly far safer than most prescription drugs, and there’s enough information to compare it against the known toxicities of many drugs currently in use. This includes liver and kidney toxicity, gastrointestinal damage, nerve damage and, of course, death. Moreover, cannabidiol and other cannabis products often work when other medications fail, so not only are they generally safer, cannabis preparations also tend to provide greater efficacy. “There’s an ongoing death rate from use of pain medications as prescribed. So, even as prescribed, they’re highly dangerous and they are open to abuse. As far as medications used in the pediatric population to control seizures, there are also severe toxicities to organs. Many of them are very sedating. The children become unable to function or really to interact because of the sedating effects. Other medications have a side effect of rage and behavioral problems. 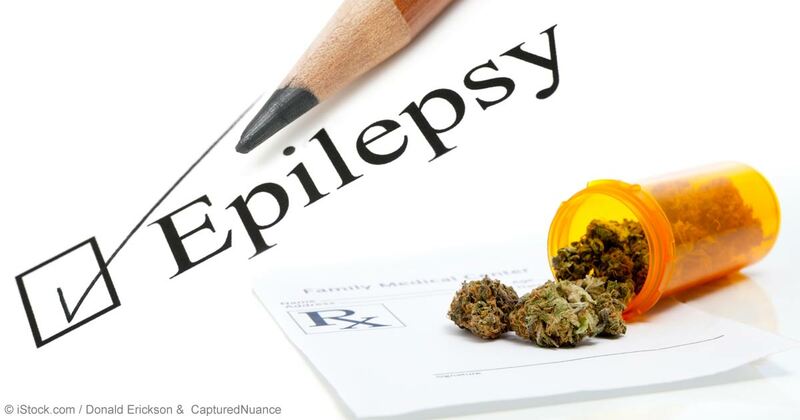 In Dr. Gedde’s experience, about 25 percent of children experience a rapid reduction in seizures when given cannabis oil—sometimes within days, or weeks. But results do vary, and not every child will respond well in the immediate term. She notes that some children are so sensitized to medications that they need to start at a very low dose, and give it plenty of time to work. “We are working out in the clinical practice the protocols that seem to give the best benefit the most quickly to the most children, but we do find that some children get results very quickly. For others, it takes more time, up to a number of months,” she says. The main objection of pediatricians at the Children’s Hospital in Denver to using CBD in children—even for conditions like uncontrolled seizures—is that there are no studies in children of potential harms of long-term use of CBD (cannabidiol). There might be long term adverse effects of CBD and other cannabinoids that we will only come to discover later. According to Dr. Gedde, the main side effect you need to watch out for is the psychoactivity of THC, i.e. its ability to make you “high.” However, she also stresses that THC actually has many valuable medical benefits, so depending on your problem, you may want higher or lower levels of THC. For example, in patients who suffer with severe pain, where the perception of pain causes great distress, the psychoactivity of THC allows the patient to shift their perception of the pain in their mind and body. Interestingly, the US government, through the Department of Health and Human Services (HHS), holds a patent on cannabis, specifically on cannabidiol (CBD) as a neuroprotectant and an antioxidant. This patent was filed over a decade ago, and was approved by the US Patent and Trademark Office (USPTO) in 2003. The patent was based on studies done with the support of the National Institutes of Health (NIH). “It certainly is a paradox. Through the Drug Enforcement Administration (DEA), the US federal government holds the stance that marijuana has no medical value and is highly dangerous; whereas we have in fact scientific evidence that it is useful as a medicine, and that far from being dangerous, it’s actually quite non-toxic and supportive—certainly in comparison to other medications. Many people ask how they can educate themselves about cannabis, and Dr. Gedde notes that it can be a difficult proposition despite the fact that there are numerous peer-reviewed publications about the benefits of cannabis. One reputable source where you can find research relating to the use of cannabis is cancer.gov.4,5 This is the US government’s site on cancer. You can also peruse the medical literature through PubMed,6 which is a public resource. The Journal of Pain,7 a publication by the American Pain Society, has a long list of studies on the pain-relieving effects of cannabis and would certainly seem worth the effort for anyone with chronic pain to utilize. According to the National Institute on Drug Abuse,8 which also has information relating to the medicinal aspects of marijuana, preclinical and clinical trials are under way to test marijuana and various extracts for the treatment of a number of diseases, including autoimmune diseases such as multiple sclerosis and Alzheimer’s disease; inflammation; pain; and mental disorders. To learn more, I also recommend listening to my previous interview with Dr. Frankel, in which he discusses many of the medical benefits of cannabis. Cannabis is safer than prescription drugs and there’s enough information to compare it against the known toxicities of many drugs, according to Dr. Gedde.